This month I would like to discuss with you, “good posture”. You are probably reading this article, hunched in front of a computer or slumped on a sofa! How do you fix your posture? I know you are tired, and it is okay to relax, (sometimes) but good posture is important as bad posture leads to neck pain, back pain and organ dysfunction! By slumping, hunching or even stooping over, you create a fascial drag, which in simple terms causes tension and restriction on your diaphragm and organ structure and function. Imagine food having to pass through all these tensile structures! Also imagine the undue stress on the joints, bones, ligaments, discs and muscles of your human body! Good posture has to come from within. You have to feel happy, positive, energized, motivated! You have to have passion, purpose, meaning and direction in your life! You also need to build up certain muscles in your body to help you maintain balance and equilibrium. Sitting, driving and texting all contribute to poor posture! 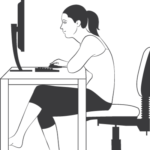 Sitting has also been shown to affect everything from weight gain to poor breathing patterns. Unfortunately, just exercise alone is not enough to combat the eight-plus hours we sit daily. Sitting in a slouched position with your shoulders rolled forward and head looking down is terrible and causes problems! Your spine is supposed to have certain curvatures to it for proper mobility. Prolonging your spine in a flexed position each day for hours on end can affect the spinal curves negatively, causing certain muscles to become tight and other muscles to be under facilitated. 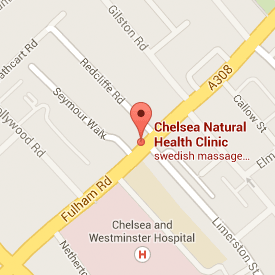 If you are suffering pain or discomfort, book an appointment or give us a call. Why suffer?